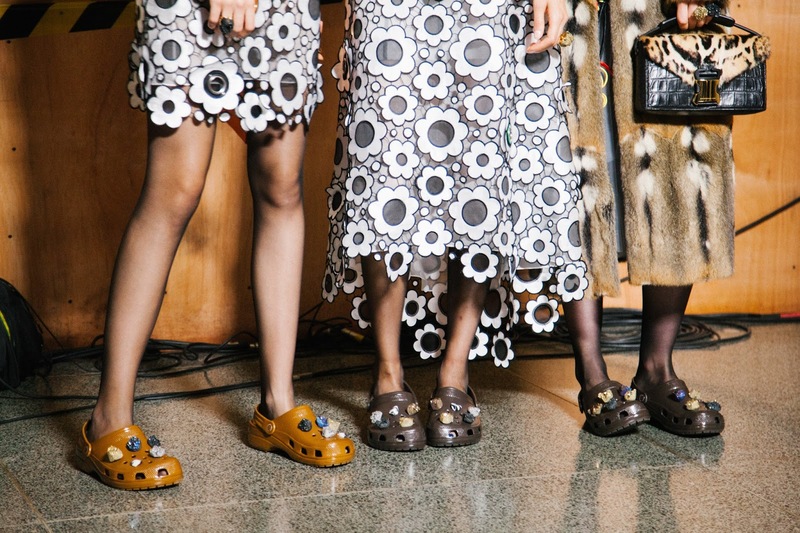 Crocs, Inc. announced their first runway collaboration with award-winning British designer Christopher Kane at London Fashion Week 2016. 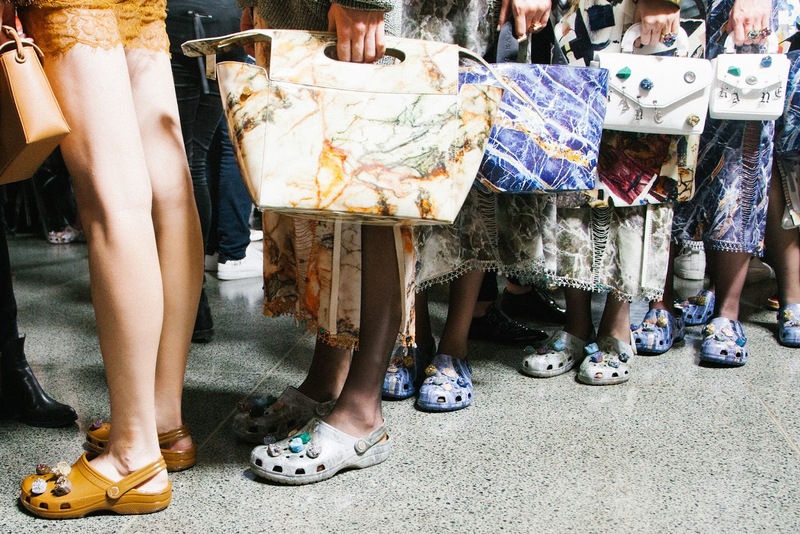 The collection of bespoke, limited edition Crocs shoes debuted on the catwalk for the brand’s SS’17 London Fashion Week show. Christopher Kane’s signature of constant innovation and rebellious femininity perfectly complements one of Crocs’ core brand values of celebrating individuality. 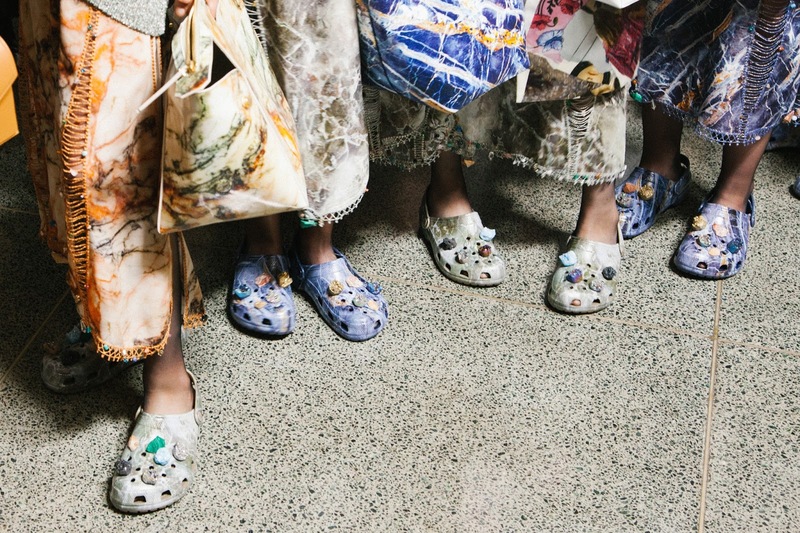 The pairing of these values was unveiled on the catwalk at The Tate Britain, as a bespoke collection of limited edition Crocs shoes were unveiled as part of the Christopher Kane SS’17 Womenswear collection. The iconic Crocs Classic Clogs come in a special marble print (in green, blue, orange and brown), as well as high shine plain colours in rich earthy tones, and embellished with beautiful natural gemstone Jibbitz (shoe charms), especially created by the brand for this collaboration. Would you wear Kane's Crocs?? ?